Mid-Victorian England was a land of stark social contrasts. On the one hand were the well-off middle and upper classes, on the other hand were the mass of the working-class poor. These social groups had arisen as a result of the Industrial Revolution when thousands of people had migrated from the countryside to the new industrial towns to seek work. They usually lived in very poor housing and lived lives that were precarious at the best of times. A downturn in trade could throw them out of work and then they became destitute very quickly. The owners of the factories grew rich on the backs of the labour of the poor. In many ways mid-Victorian England resembled a third world country of today, such as India. The official means of meeting the needs of poverty-stricken working class people consisted of the workhouse with its harsh regime, drudgery, and separation of families. The poor were often desperate to avoid the workhouse, in fact the regime was designed to be a deterrent to the poor. Dickens charted the deprivations of the workhouse in his novel Oliver Twist. 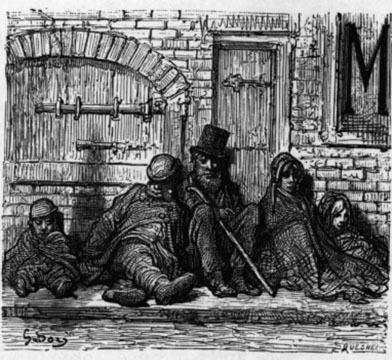 The workhouse system failed to meet the needs of the poor: many poor people lived on the streets of cities such as London, and these vagrants included thousands of children. 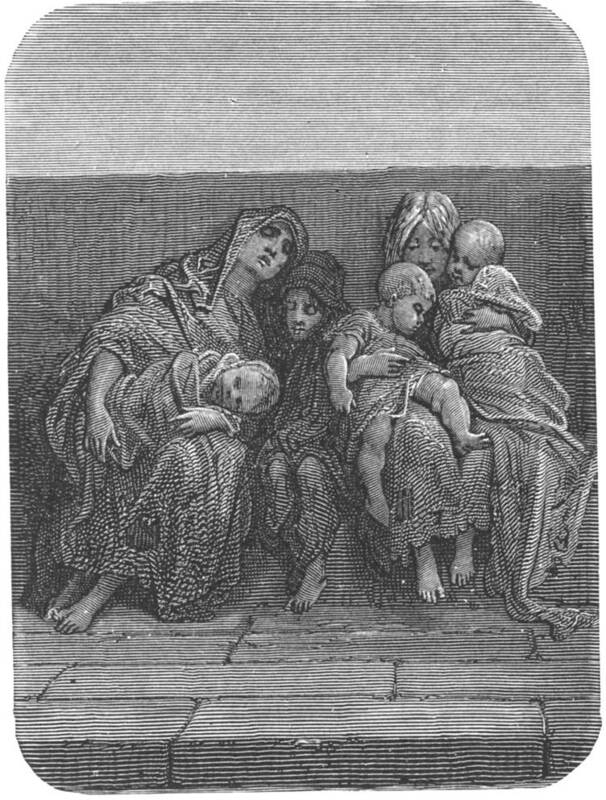 The journalist Henry Mayhew's London Labour and the London Poor (1865), which catalogued in graphic detail the condition of the London poor, had a profound impact upon Evangelical Christians. This group of Christians, which crossed denominational boundaries, believed that people were saved from hell by belief in the saving work of Jesus Christ. They also believed that it was not enough to preach the gospel to people; they also needed to meet their physical needs. The leading non-conformist evangelical in Victorian England was Charles Haddon Spurgeon, the pastor of the Metropolitan Tabernacle in South London. When he reviewed Mayhew's book in his magazine, The Sword and the Trowell, he used it as a rallying cry to urge his readers to give towards the founding of an orphanage, which opened in 1867. Other evangelicals were moved to establish similar works all over the United Kingdom. Thomas Barnardo, a close friend of Spurgeon, set up his orphanage in East London, and the Ragged School movement, led by Shaftesbury, flourished all over the country. 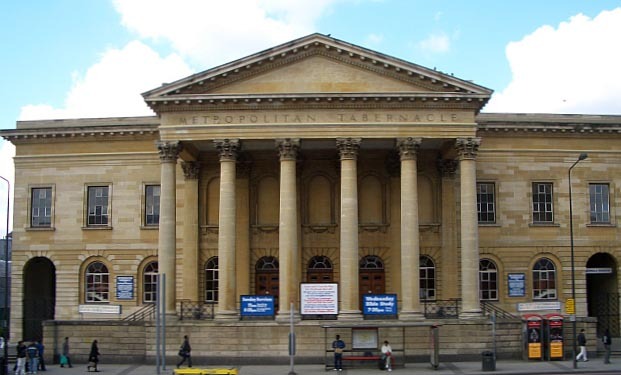 Charles Haddon Spurgeon's Metropolitan Tabernacle in South London. These are two facets of the work of evangelicals. There are many charities active in the United Kingdom today that have their origins in this flowering of evangelical social work: The Howard League for Penal Reform, the YMCA, the YWCA, Barnardos, the Salvation Army, and the National Society for the Prevention of Cruelty to Children are but a few examples. The evangelicals did not work in isolation from each other. In fact, they served on the same committees, gave money to each other, prayed for each other and urged each other on. Spurgeon, for example, was on the board of the National Temperance Society, advised Barnardo, and also ran his own orphanage. Gordon embraced evangelical beliefs in 1854, but, on his own admission his conversion led to no great change in his life or his view of the world. Gordon arrived in Gravesend as a national hero, for "Chinese Gordon," had a considerable reputation. It is clear that, at first, he simply wanted to live a quiet life and attend to his duties. However, nursing his dying father had a profound effect upon Gordon who resolved to be done with what he called "superficial religion," the "religion of the pew," as it was scornfully referred to by many evangelicals. He wanted to have more direct contact with needy people, and he set about doing what he could. When he met the Freeses, an evangelical couple, in 1866, they were immediately impressed by his earnestness, although they did not know he was "Chinese Gordon" at their first meeting. Frederick Freese followed the model of evangelical endeavour when he urged Gordon to become involved in the evangelical social work in the town. There were already established works, such as a soup kitchen, visiting the sick and running the Ragged School. It was not new work in which Gordon became involved; rather, it was his extraordinary energy that he brought to an existing work, the Gravesend Ragged School. Ragged Schools were the forerunners of the national education system that was established by the 1870 Education Act piloted through Parliament by W. E. Forster. They were set up to provide a basic education for poor children. They were usually run by committees of volunteers who employed the teachers and, occasionally, taught the children themselves. They were linked together on a national level in the Ragged School Union that was chaired by the Earl of Shaftesbury, a prominent evangelical in his own right. The Union, which later became the Shaftesbury Society, survives as a children's charity to this day. Gordon taught the most needy children in the Ragged School — the roughest, dirtiest ones. He drove the work in Gravesend on and took it in new directions, such as clothing and feeding the children and providing pensions for the poor and elderly. He opened up his official residence, Fort House, to the poor. He also opened up large tracts of army land for poor people to use as allotments. Gordon also became a supporter and instigator of other work. He met William Booth, the founder of the Salvation Army, in 1867 and discussed his work with boys, and he also supported the missionary efforts of Hudson Taylor in China. In 1869 he urged like-minded people in Gravesend to set up a mendicant society. Mendicants were itinerant workers who might pass through a town or village. Most "respectable" people viewed them as a nuisance who were probably up to no good, and, in fact, mendicants were often guilty of street crimes, such as mugging, so it was in the interests of the local citizens to hurry them out of town. A mendicant society aimed to give them tokens that could be exchanged for food and shelter. It was a way of controlling their activities more humanely than locking them up in the town jail, as often happened. Gordon, who was closely associated with most of the clergy and prominent evangelical Christians in Gravesend, tried to enlist their support in maintaining the society, and he also tried to get the Borough Council to lend their help as well. Although Gordon managed to set up the society, it collapsed after eighteen months through lack of support. The reasons for this lack of support are not clear. It may be that Gordon's abrasive personality put people off, or there may not have been the will to carry it on since Gordon's departure from Gravesend was fairly imminent. Gordon was appointed as British Commissioner to the Danube Commission in 1871 — a well-paid post that provided the income necessary to support his pensioners in Gravesend. Gordon gave away 90% of his Colonel's salary of £3,000 per year in Gravesend, so when his task in Gravesend came to an end he needed to find a post that could maintain his income. Although he kept contact with his many friends in Gravesend in the last 14 years of his life, he was not able to engage in social work on such a scale again. It must be remembered that all his adult life, Gordon was a professional soldier at the beck and call of his political masters. although his time in Gravesend was his most satisfying on a personal level, he still had to obey orders and go where he was sent. He might have some choice over this, he was certainly able to secure a well paid post using his connections in the War Office. He was able to champion another of his social concerns in later life, that of "native rule." He believed that a country was best ruled by its own people, not its colonial rulers. This led him to support Gladstone's home rule proposals for Ireland. although evangelicals divided on this issue, Spurgeon, although a Liberal sympathiser, opposed home rule because it meant giving catholics control over the protestants in Ulster. Gordon went beyond supporting Irish home rule and applied this principle to colonies such as Botswana, India, South Africa and, ultimately in the Sudan. He felt that a known slave trader was the best person to rule the Sudan instead of an Egyptian appointee, this brought him into conflict with the Government. The issue of foreign rule led to the revolt under the Mahdi in 1884 and ultimately to Gordon's untimely death. Gordon was ahead of his times in his willingness to support the rights of native people to self-determination. If he had been listened to in the 1870s and 1880s, countries such as South Africa, Rhodesia, the Sudan and Ireland would not have had such stormy postcolonial histories. They would not have had the lasting social divisions from which they now suffer. If you wish to comment on this essay, please e-mail me on pemersh@tagteacher.net.